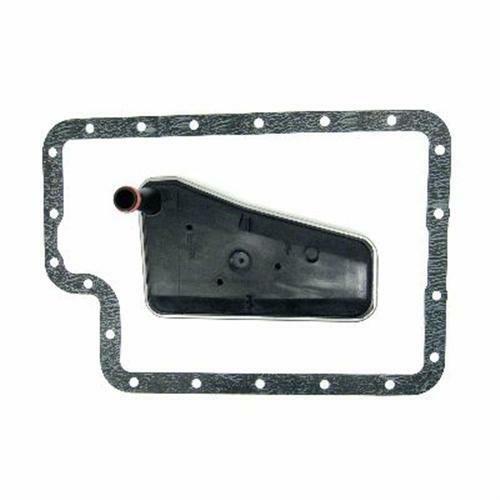 Service your 1993-2004 Ford Lightning transmission with this PAI filter and gasket kit! Keeping your transmission fluid clean and cool is vital to prolonging your 1993-2004 Ford SVT Lightnings transmission life expectancy. Routine transmission maintenance should include fluid change as well as a new filter every 30,000 miles. LRS has this Transmission service kit for the E4OD & 4R100 Automatic transmissions to help you out. Kit includes new transmission filter assembly as well as a new transmission pan gasket to seal things back up again.